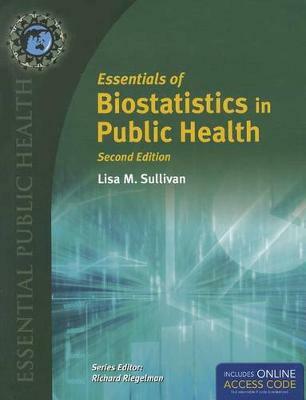 Essentials of Biostatistics in Public Health, Second Edition provides a fundamental and engaging background for students learning to apply and appropriately interpret biostatistics applications in the field of public health. Many examples are drawn directly from the author's remarkable clinical experiences with the renowned Framingham Heart Study, making this text practical, interesting, and accessible for those with little mathematical background. The examples are real, relevant, and manageable in size so that students can easily focus on applications rather than become overwhelmed by computations. The text is accompanied by an online workbook: Statistical Computing Using Microsoft Excel (for Mac or PC). New Features of the Second Edition: * Learning objectives and more practice problems for every chapter * A new chapter on survival analysis * A new chapter on nonparametric statistics * Coverage of sensitivity, specificity, and performance of screening tests connecting probability to real and important applications * An expansion of the chapter on multivariable methods with more emphasis on interpretation of multivariable regression * A bank of questions for the audience response system ("clickers") for instructors Looking for more real-life evidence? Check out Case 4 in Essential Case Studies in Public Health, Putting Public Health into Practice.